We've talked about the weather a fair bit with regard our events this year, it hasn't been so kind, and this one was no different with Storm Brian doing his worst on the run up, but once again our super amazing team, ensured that everything was ready to go on the day. 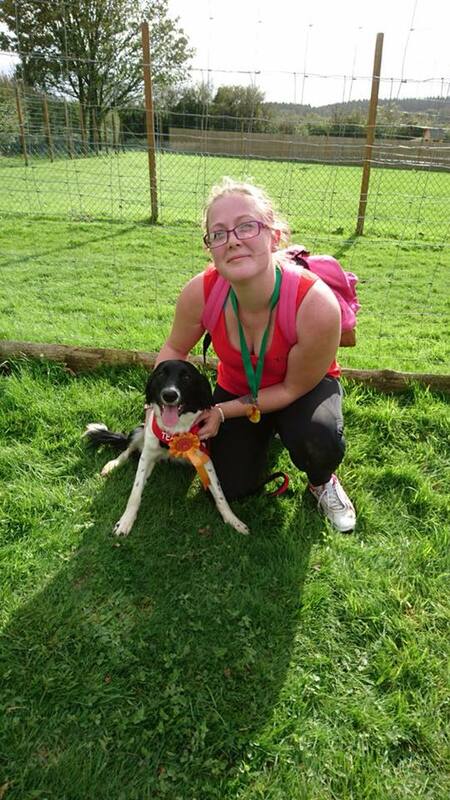 Our runners were ready too, and their dogs as it got to 11:00 and it was time to take on our 5 kilometre course which started and finished at our Lincoln Farm Rescue and Rehoming Centre, near Bere Regis. Around 30 runners took on the challenge, and it is clearly something they would like to repeat again as we were asked again and again, to make sure we had another one next year. An informal fun event, the entry fee included not just the run, clearly marked with marshalls along the way, but a 2017 medal, a bottle of water for our runners, and not forgetting the dogs, a rosette and goody bag. The entry fee also included a friendly, informal BBQ with friends and family after the run, with everyone having a great time. So, was it a typo? Not if you listen to all the runners who completed the course, there was definitely mud, but you weren't mad to be there.